April Jonker performed as a bass drummer with Legends Drum & Bugle Corps from 2007-2011. She went on to perform with Carolina Crown in 2012 and 2013, receiving a gold medal in 2013. She was a founding member of Legends PIA in 2011, and was a member of Matrix Performing Arts in 2013 and 2014. 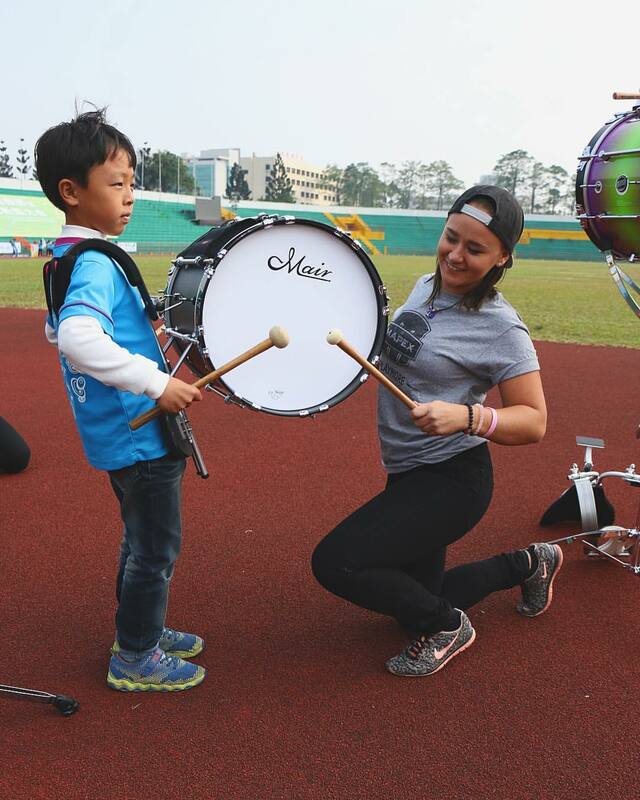 April has served as a percussion instructor for Parchment High School and Mattawan High School in Southwest Michigan, Bellbrook High School in Southwest Ohio, and has been instructing the bassline at Matrix World since 2016. In 2016, she performed for the Chiayi City International Band Festival in Chiayi City, Taiwan. April holds a Bachelor of Fine Arts Degree with an emphasis in Painting and a Minor in Textile and Apparel Merchandising from Western Michigan University. She currently resides in Dayton, OH, and is working in Sales & Design for Fred J. Miller Inc. This will be April’s 1st season on staff with Phantom Regiment.